Anne Vickers, 52, from Lincolnshire, recently went on a day trip to the beautiful North Norfolk village of Wells-next-the-Sea, for a unique and unforgettable birthday treat. Her daughter, Laura, had secretly organised an alpaca trek for her and her husband as a surprise. Anne hadn’t been on an alpaca trek before, so she was looking forward to the new experience. 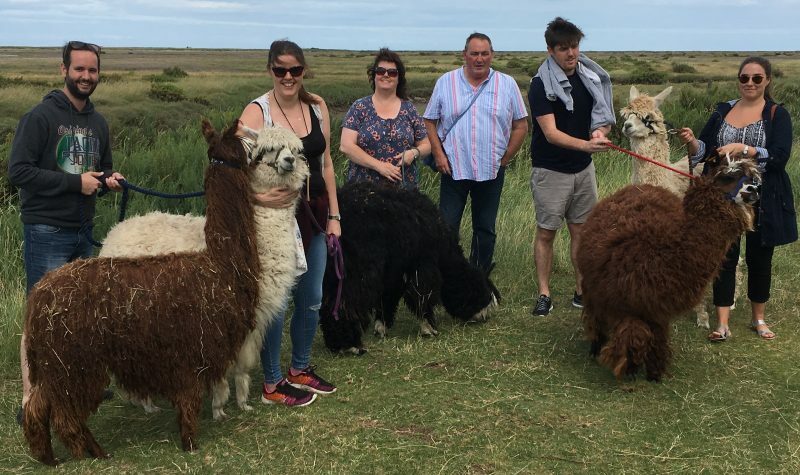 Anne and her family went on a two-hour afternoon alpaca trek, which followed a stunning route along the coastal path at Wells. During the trek, you can breathe in the fresh air while taking in the gorgeous views across the salt marshes and out to sea. “We were very lucky with the weather – it was breezy and sunny. The walk was extremely enjoyable as the scenery was at its best. Anne was thrilled with her birthday present. She found the alpaca trek to be a perfect way to enjoy the breath-taking scenery of the local area while making some new furry friends along the way. 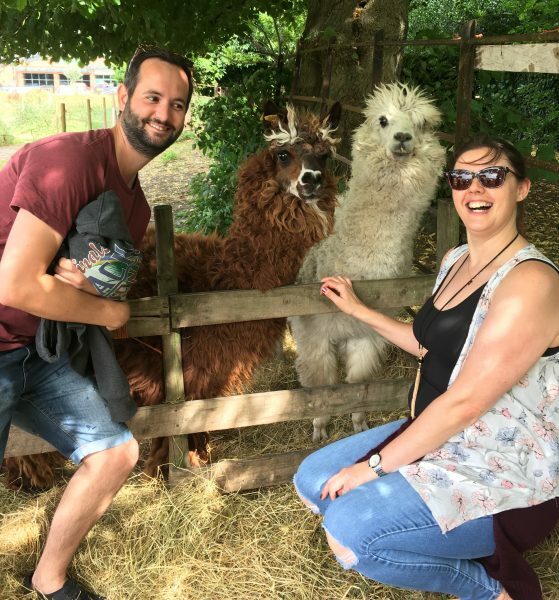 “The alpacas were amusing, full of character and very gentle. They each had their own individuality, which was great to learn about. They make you feel at one with nature. “The animals are gentle and easy to walk with. The walking pace is relaxed, making it suitable for all age groups and abilities. Anne and her family were accompanied on their trek by one of the guides from Alpaca Trekking. During their trek, their guide showed passion for the alpacas and provided interesting facts and information about Wells and the wildlife. “Our guide offered comprehensive, well-informed knowledge, both about the alpacas and the local area. She told us lots about Wells and what it had to offer visitors. “She was a true professional at walking backwards so she remained engaged with us and kept her eye on our handling of her animals. She coached us throughout the trek so that the alpacas didn’t get the better of us with their cheeky habits. Anne and her family made sure they were prepared with some chopped apples to bond with the alpacas after the trek. Feeding time was one of the highlights of the day for Anne and it helped provide many photo opportunities to capture the unique experience. “The alpacas take on a whole new character when they know you are going to give them treats. They seem to become cheeky, even leaning into photo shots like a photo bomber to have their picture taken! They were so funny that we had belly laughs during this time. Treks can last between one and four hours. The prices vary depending on the size of the group and the length of trek required. You can book your trek via the phone number or the email address listed on the Alpaca Trekking contact page. Gift vouchers are available and are valid for 12 months from the date of purchase. Appropriate clothing and footwear for walking should be worn. Bringing picnics on the longer treks is welcome. There is an opportunity to feed the alpacas at the end of the trek, so it is advised to bring chopped apples as a treat. 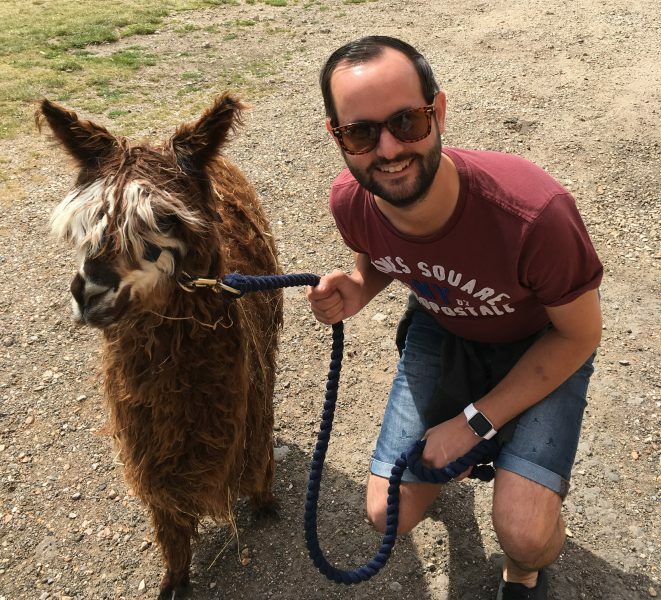 Alpaca Trekking is a 19-minute drive from The Blakeney Cottage Company HQ and is located in Wells-next-the-Sea.